Excitingly practical. 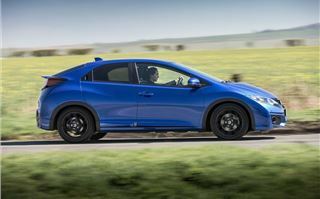 Not two words you'd think go naturally together, but that's how Honda now likes to describe the Civic. Not that it was viewed as particularly exciting when it first arrived. Launched in 2012 to much fanfare, its reception was best described as lukewarm. While it was more refined, it had lost the sharp handling that made its predecessor such an enjoyable hatchback to drive. Honda certainly is a company that listens though. And reacts. 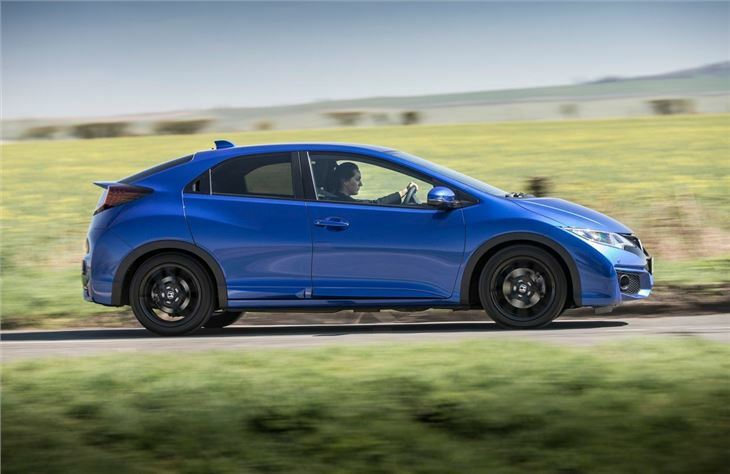 Little more than a year after it was launched, the Civic was revised with adjustments to the dampers and the weight of the electromechanical power steering. Honda claimed the changes weren't down to slow sales but rather due to 'feedback from the media, dealers and current owners.' Either way it meant the Civic was changed for the better. 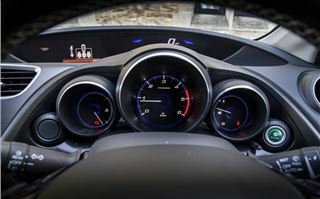 The stiffer suspension and faster steering made for a much keener and more agile car, but not at the expense of comfort. 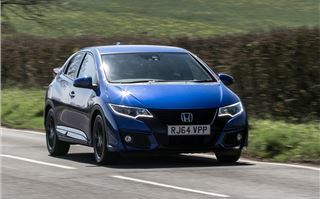 Now Honda has given the Civic its planned mid-life facelift with tweaks to the exterior such as redesigned headlights with LED daytime running lights, an updated cabin with a vastly improved media system and little touches like proper chrome door handles. The updates are all mainly cosmetic with the under-the-skin fundamentals remaining largely unchanged. 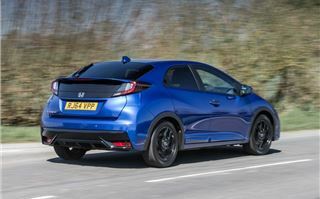 There is a also new Sport trim which adds a touch of Type-R styling with black alloy wheels, privacy glass and black roof lining. Sitting between the SE Plus and SR models it comes well equipped too with dual zone climate control, front and rear parking sensors and cruise control. 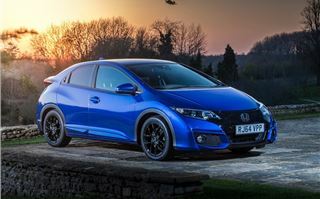 With prices starting at £19,615 for the 1.8 i-VTEC petrol it's not bad value for money either. Despite its name the Sport trim doesn't get stiffer suspension or a lower ride height - it's merely aesthetic changes. They certainly give the Civic a more purposeful look, although the 17-inch black alloys do look a little lost due to the 'big' styling of the Honda. The awkward spoiler in the middle of the tailgate still remains too, but at least on the Sport it comes body-coloured. Visibility is still compromised but at least all new Civic models come with a reversing camera as standard, although that's not that useful at night when it's quite easy to lose sight of a following car's headlights. Some of the Civic's other quirks remain too. The design of the dash and the way it flows into the driver's door mean it's all too easy to smack your knee when getting in or out. 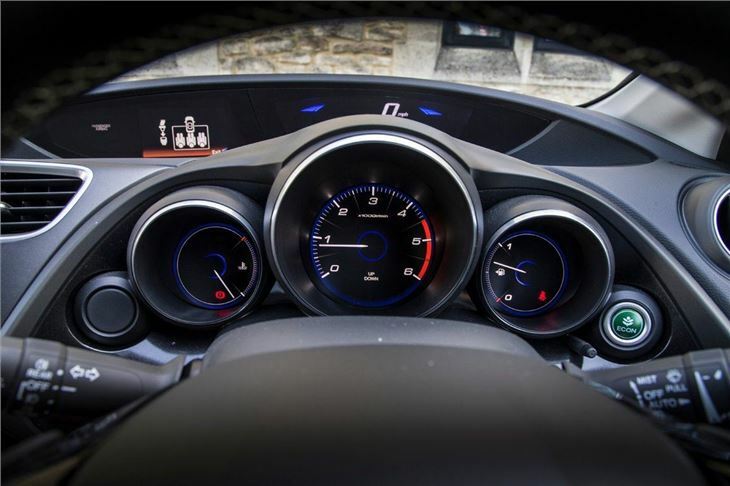 The digital speedo can be obscured by the steering wheel - although this does depend on your height and driving position - while taller drivers will feel that the seat could do with being a few inches lower and further back. 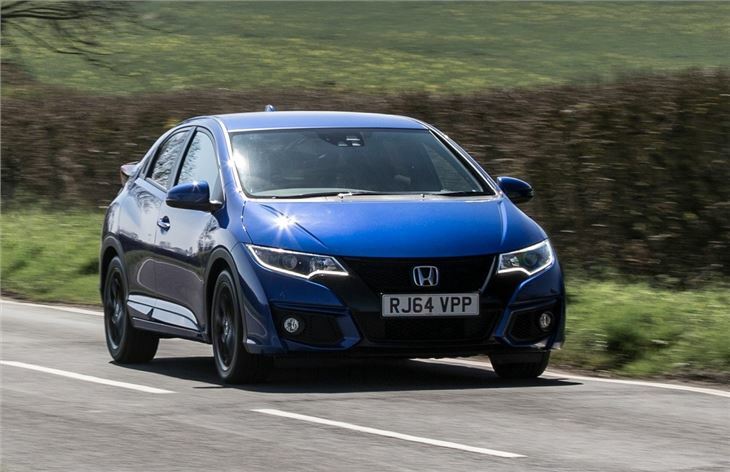 What you can't argue with is the superb practicality the Civic offers. This is one area where it's head and shoulders above any other hatchback. It has an absolutely huge boot that includes a hidden under floor section. In total there's 477 litres of carrying space. That's far more than a Volkswagen Golf at 380 litres or the Ford Focus that has a paltry 316 litres. The Honda has another trick up its sleeve thanks to the ingenious Magic Seats. They cleverly fold both down (and up) so you can carry longer things or - usefully - taller items that wouldn't ordinarily fit in a hatchback. We even managed to fit a large-framed road bike in the back without needing to remove the front wheel. Room for rear seat passengers is a little tight though, especially compared to a Nissan Pulsar. 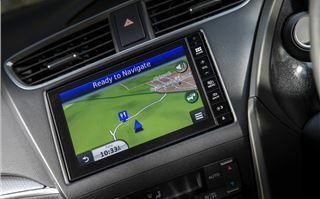 Thankfully Honda has updated the Civic's touchscreen media with a far easier to use menu system. The screen itself is a better resolution and more responsive, plus all the controls and menus are more user friendly, making things like searching for songs on an iPod much less infuriating. 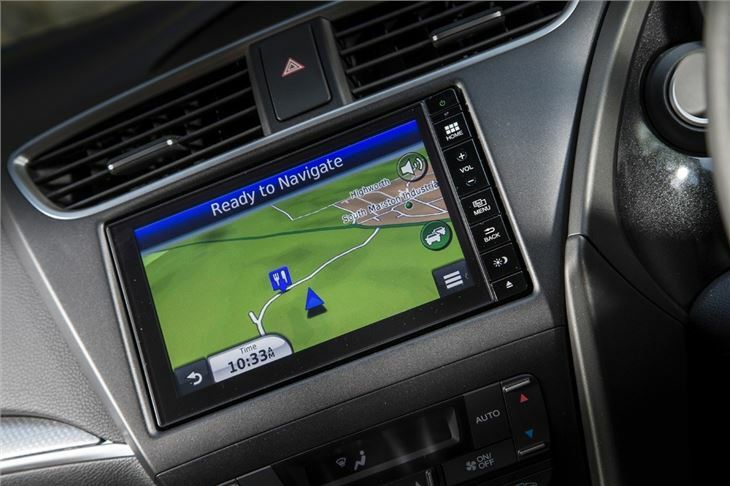 Sport Navi models come with an integrated Garmin navigation system which is good value at £610. The Sport is available with two engines - the 1.6 i-DTEC or the 1.8 i-VTEC - the latter of which is available with an optional five-speed automatic. The petrol is good fun but the 1.6 i-DTEC makes far more sense. It's undoubtedly the best 1.6-litre diesel engine on the market blending superb refinement with strong performance. It replaced the 2.2 i-DTEC in the Civic range but despite the smaller size, it's certainly no step down. With 300Nm of torque it pulls strongly in-gear and is a great motorway car, plus it's incredibly quiet. 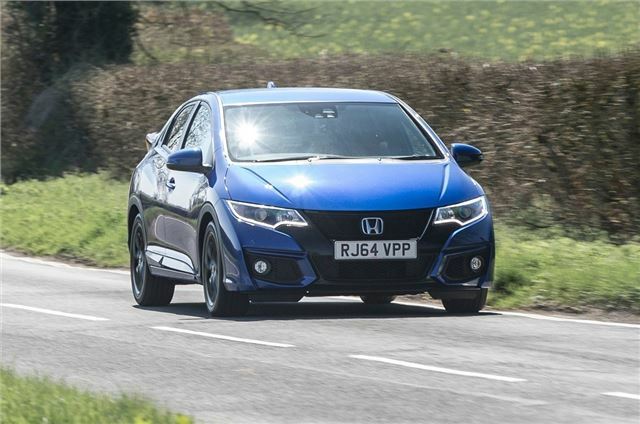 Thanks to the positive six-speed manual, the Civic is an enjoyable car to drive on smaller roads and the i-DTEC always gives you enough power if you need to overtake a slower moving vehicle. 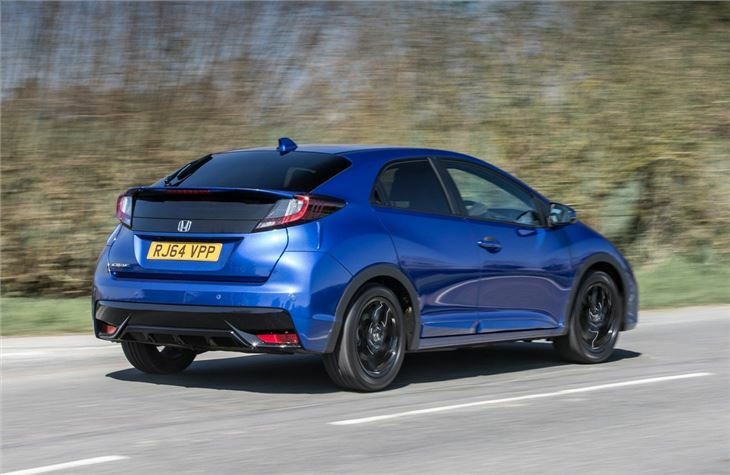 Honda has slightly tweaked the suspension for the facelifted Civic in order to improve the ride over smaller road imperfections at low speeds. It's slightly firmer that before but not uncomfortable and still deals well over all but the biggest potholes. Economy is also a strong point with an official 76.3mpg and Real MPG shows that you're likely to actually get close to this. 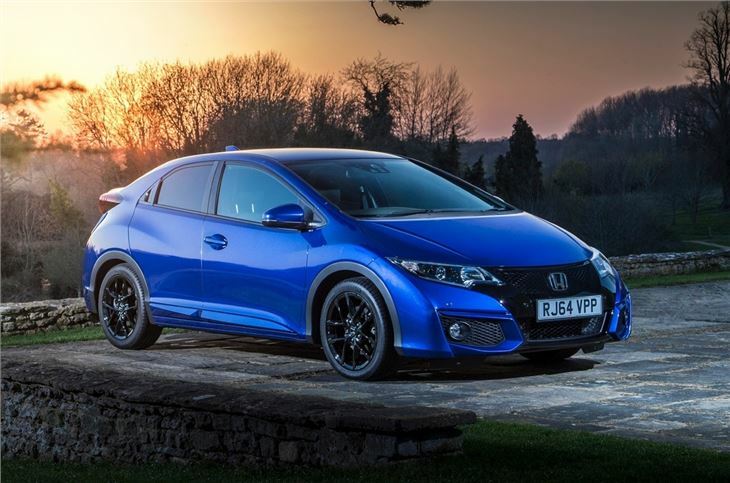 In fact, in 2014 the Civic 1.6 i-DTEC won the HonestJohn.co.uk Best Real MPG award with an average of 66.2mpg. With CO2 below 100g/km there's no annual VED and it's cheap as a company car too.